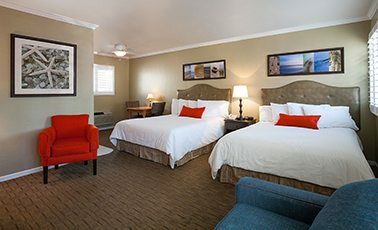 Established in 1976, Marina Beach Motel is located in the heart of Santa Barbara's harbor, wharf, and beach district. 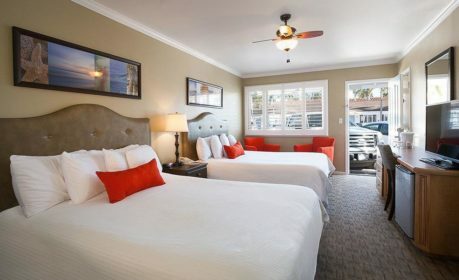 At only 37 steps from the beach, Marina Beach Motel is the ideal spot for couples, families and the occasional lone traveler to immerse themselves in the beauty and leisure of Santa Barbara. 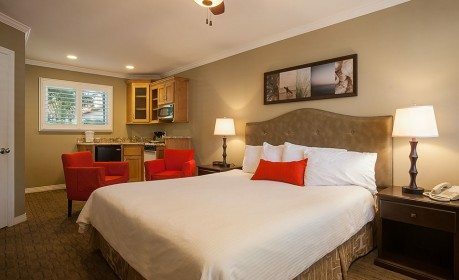 We focus our efforts on catering to the needs of the customer while striving for a high level of satisfaction, making us one of the best places to stay in Santa Barbara. 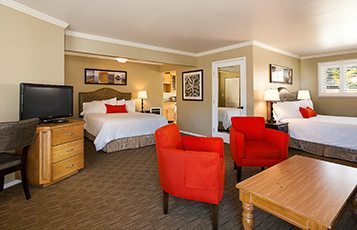 Our dedicated, family-owned business promises to become one of your favorite vacation spots in California. Lovely surprise to have found this Motel! Come on by, they will impress you too! Love this place! Cute and cozy our favorite place to stay at while in Santa Barbara. Clean, nice courtyard where you can sit and enjoy the nice ocean breeze that is only a block walking distance. Free bike rentals for a nice cruise along the beach. I was here for two nights, the price was reasonable and the rooms are amazing. Our room looked like it had been updated recently and looked modern. It had a nice kitchen with a stove, sink, refrigerator, and a small table. The room was also very clean. If you're watching your budget you could just make all your meals in your room. My now-wife and I have been coming here since we met. This local spot is perfect for beach access, mellow vibe, free bikes and king size beds. This room works well for families or friends traveling together. It has two queen beds that comfortably accommodate four people. See our 2 Queens, Kitchenette and Twin Sleeper Sofa for an upgrade. Our Standard King is perfect for a romantic getaway or a relaxing evening alone. 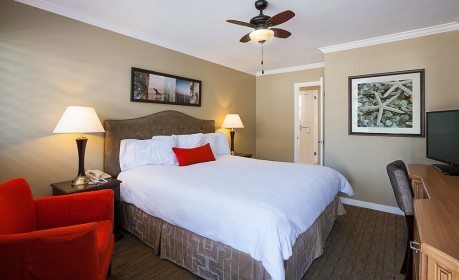 Suitable for single travelers, business travelers and couples visiting Santa Barbara. 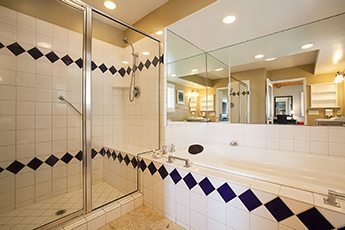 See our King with Jacuzzi or King with Contemporary Bath for an upgrade. Upgrade your amenities, and take advantage of our King with Kitchenette. 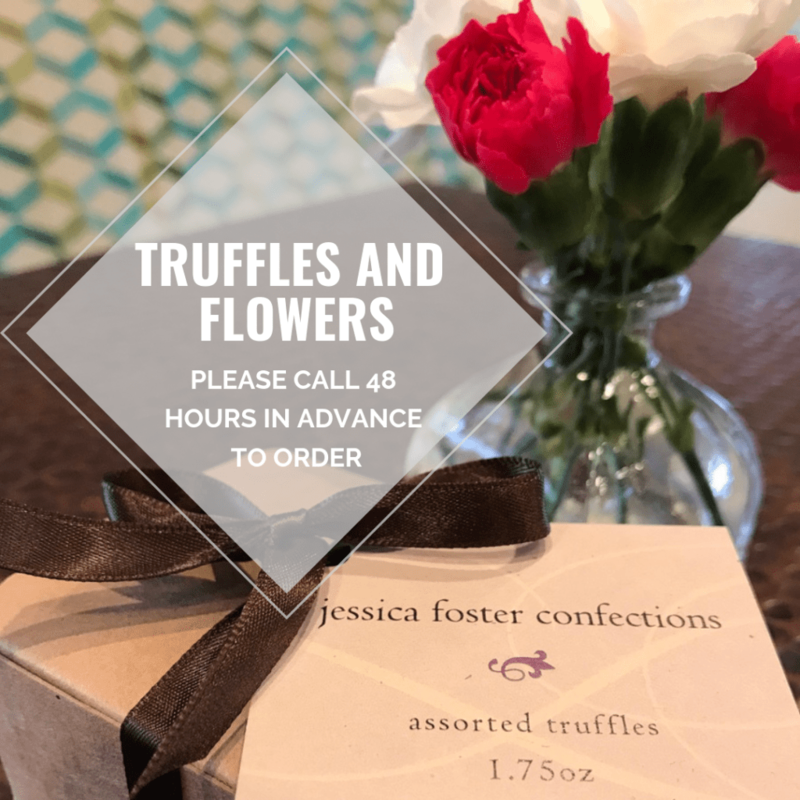 Ideal for an extended stay or a romantic night in. This room is perfect for larger travel groups. Sleep comfortably with this room that boasts a Double Queen, Kitchenette and Twin Sleeper Sofa, and utilize the kitchenette for all of your food storage and preparation needs. 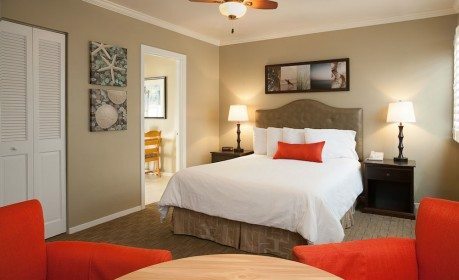 This room cannot be booked online, so be sure to call Marina Beach Motel to make your reservation!